If you're a BMW owner, this little adapter can be a very handy tool. You'll be able to use it to check out the diagnostics on your vehicle, allowing you to save money when problems are small. You can also run a diagnostic check at any time, which is highly convenient for those who don't want to have to schedule them. This scanner looks and feels a lot different than most of the scanners out there. For a start, there is no interface on the device. Instead, you need to have a smart device which can display the diagnostics; this scanner is an interface between your car and your smart device. 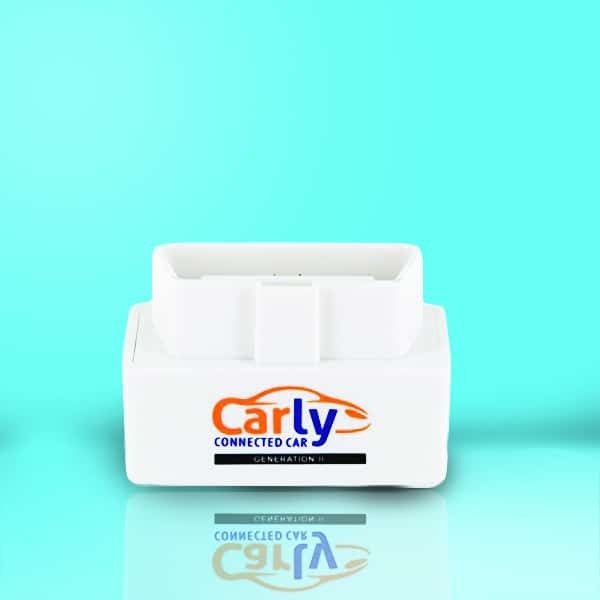 The Carly looks like a small box. When it is plugged into your car, there are LEDs which will tell you if it has connected correctly. The scanner connects directly to your vehicle. 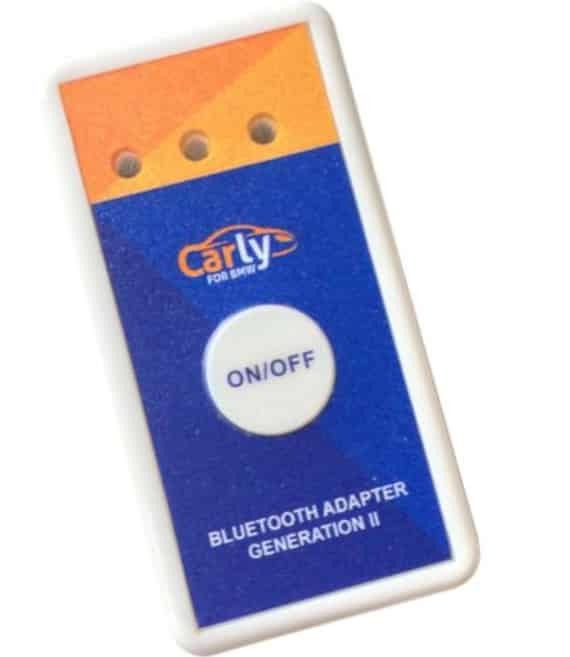 It has Bluetooth capabilities so that you can use a downloaded app to connect to the scanner and diagnose your vehicle. Oncethe device is connected to your car, you will have diagnostic checks available to you whenever you want them. This is what sets this device apart from other devices on the market. You do not need to schedule your diagnostic checks; no matter where you are or what you are doing, you can run a diagnostic check with this scanner. This scanner is compatible with all BMWs made after 1994. Carly goes for functionality over display. The display of the app is not going to wow you. If you want a color-coded system or one which has a fancy display, then this is not going to be the app and device for you. If you care about the functionality of your diagnostics, then this will give you enough to diagnose and help fix your BMW. Carly gives you a wide coding capability. This enables you to customize the electronics in your car. You can change the code of over 100 different things in your BMW. Using your smart device comes with many benefits. You already know the interface and navigation menus, so you do not have to learn another system. You are already comfortable with your device, and if you use it on a regular basis, you will be happy with the screen size too. The app and scanner will diagnose your car and check to make sure everything is running as it should. The device will also monitor your electronics and alert you to which ones will malfunction. This helps you to diagnose any future problems and repair your vehicle before a small problem turns into a large one. ​Being able to code parts of your vehicle is very handy and allows you to remove any annoyances. Two common things which people customize are turning the seatbelt warning lights off and setting the side mirrors to fold in when the car is turned off. Carly is great for when you are buying a used car. A mechanic will be able to spot any problems and potential problems, but quick checks will often miss any problems with the electronics. Carly can help you to avoid any future problems and save you a lot of money by not buying the wrong car. It will also save you money on any potential diagnostic checks which you will perform on your car or potential car. Using an app on your smart device also means that you will perform checks more regularly. This will help you to monitor and find any problems before they cost you any real money. You need to download an app to be able to use this scanner. This can be frustrating if you want a device which is plug and play. There has also been mention that you need to pay for additional content in the app. You also need to have the scanner device professionally hooked up to your car, and that can cost a lot of money. This is a great device for anyone who has a BMW. If you do not have a BMW, then do not buy the Carly. You may have to download a separate app, and there may be costs involved, and you will also have to have a professional install it for you, but once you have it in your car, you will be able to run diagnostics anywhere and at any time. This device will cost a little bit of an investment to get it running, but when you do, there is nothing better for saving you money on your BMW.